A cool looking ski helmet for kids and juniors. The Salomon Grom Visor Junior ski helmet solves a huge issue for many kids and parents when skiing. 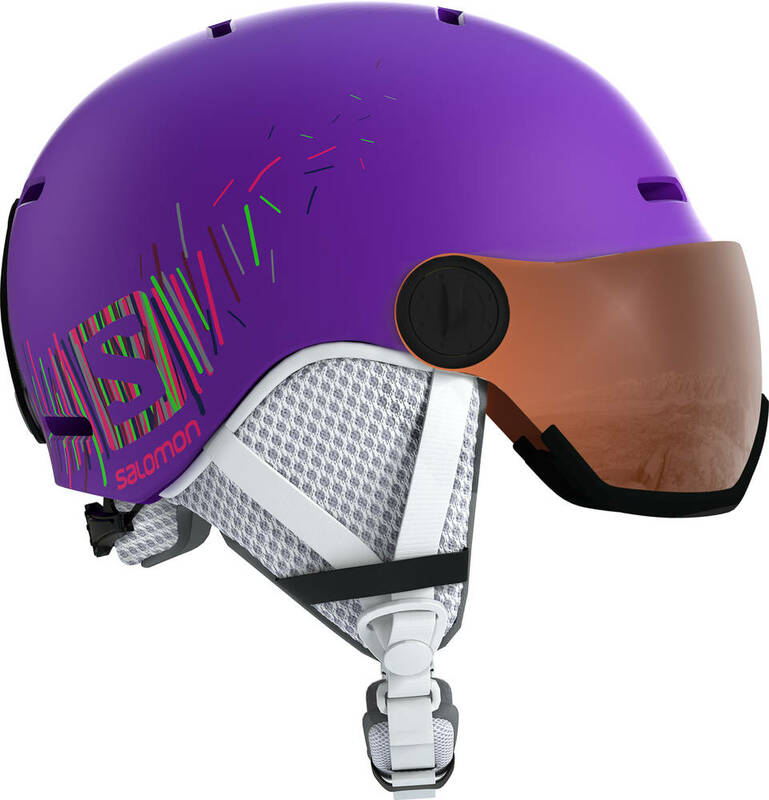 This ski helmet has integrated ski goggles. No need to look around for the ski goggles anymore as the smart visor is attached directly to the helmet. The visor/integrated goggle is perfect for changing weather condition from bright sun to cloudy days. Also, it has a size adjustment dial wheel making a proper fit easy. The liner and ear pads are removable for cleaning. The integrated ventilation AirFlow system provides a good balance between a dry and warm environment. Good quality product. My four years old loves it! I bought this for my daughter and she loves it. It came in plenty of time and was fantastic value for money. I would definitely use this Company again.